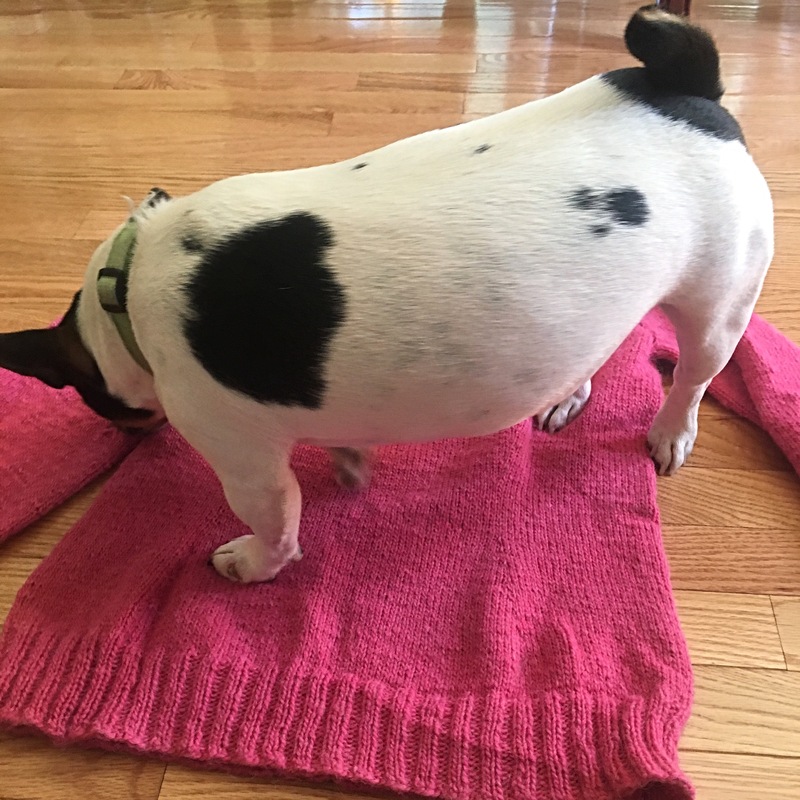 In May, I was asked to test knit a sweater for Life is Cozy. I just happened to have 5 skeins of hot pink alpaca yarn (from my trip in Ecuador) that needed to be knitted up, so I said yes. 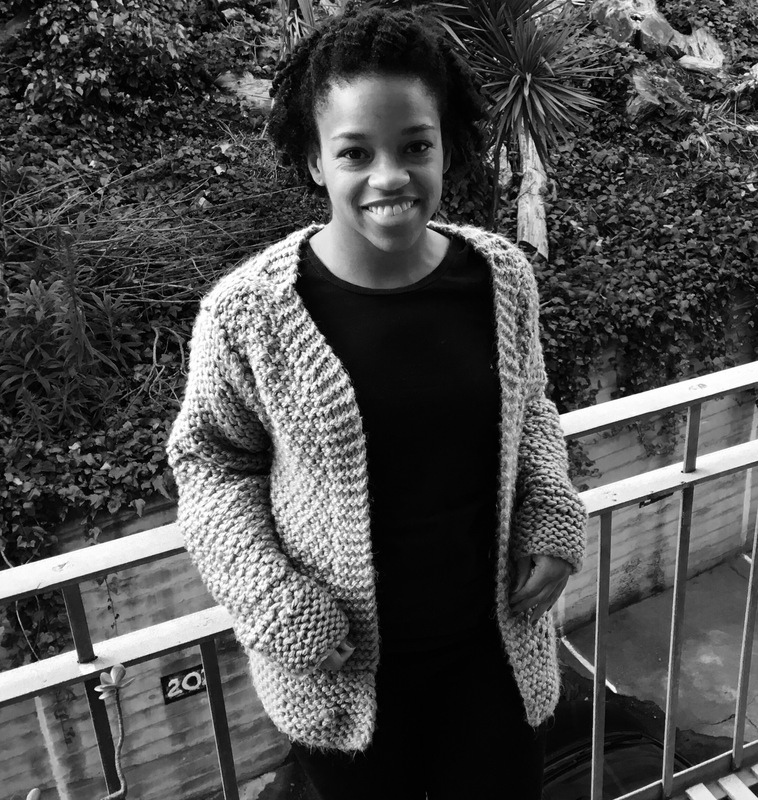 I have test knit for this designer before and love her designs. They are simple constructions with interesting and delicate details. The Forever April Sweater was no exception. The design elements that caught my eye were the shaped waistline and the off the shoulder neckline. 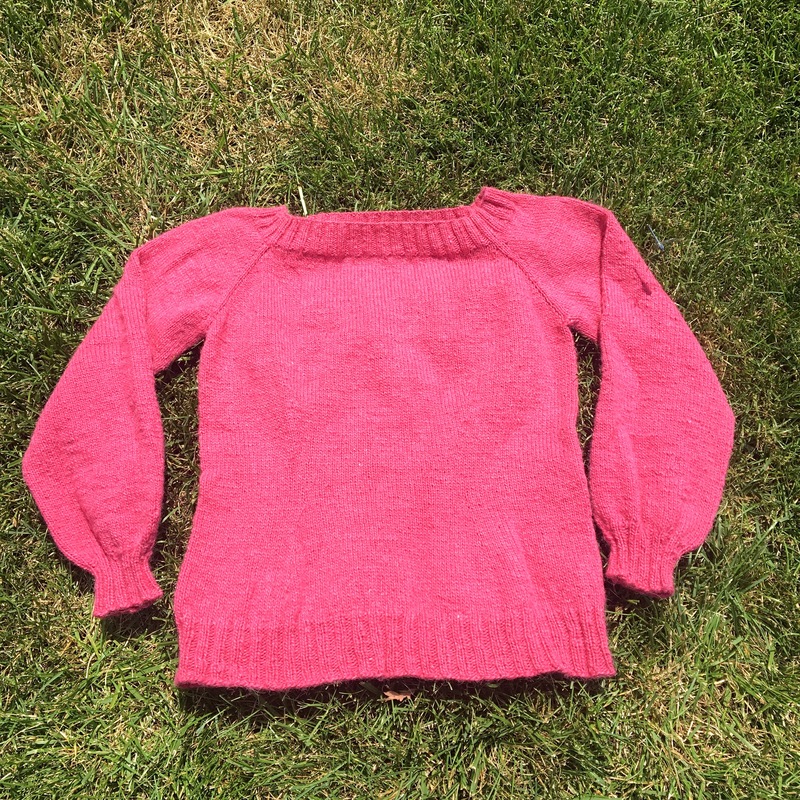 The Forever April Sweater is a top down raglan sweater with bell shaped sleeves. I did bump up a needle size (US size 2 and 4) as my yarn was a little thicker than the recommended yarn. I didn’t want the piece to be too dense. 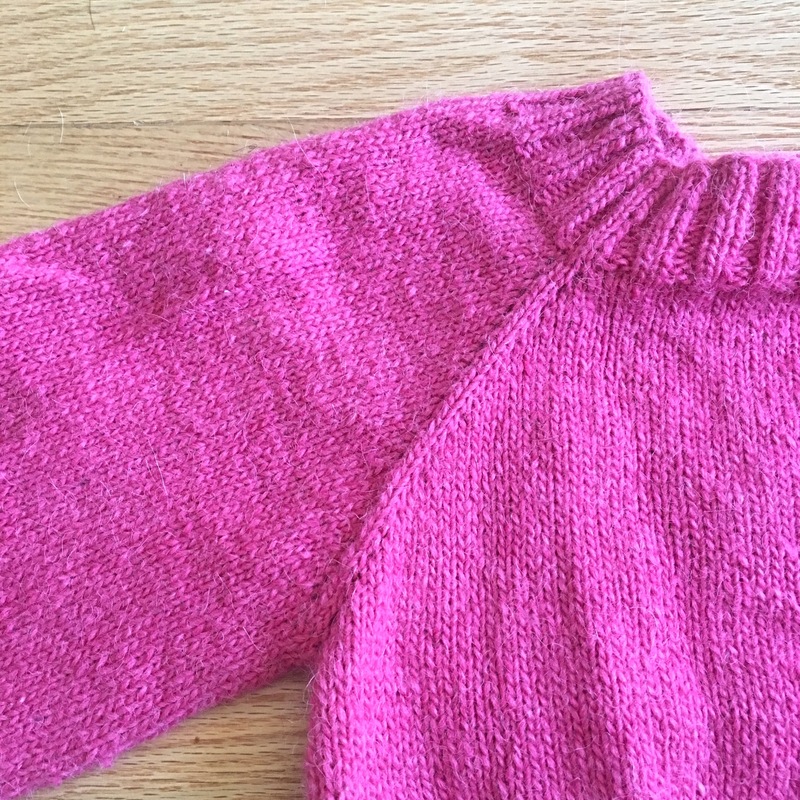 The only other modification I made was to shorten the length of the sweater as the recipient is on the petite side. I ended up keeping all of the waist shaping increases and decreases and just began the ribbing 3 inches before my desired end length. So why does my title contain the words “not so good yarn”? Well this yarn was by far the worst yarn I have ever worked with. It shed EVERYWHERE! 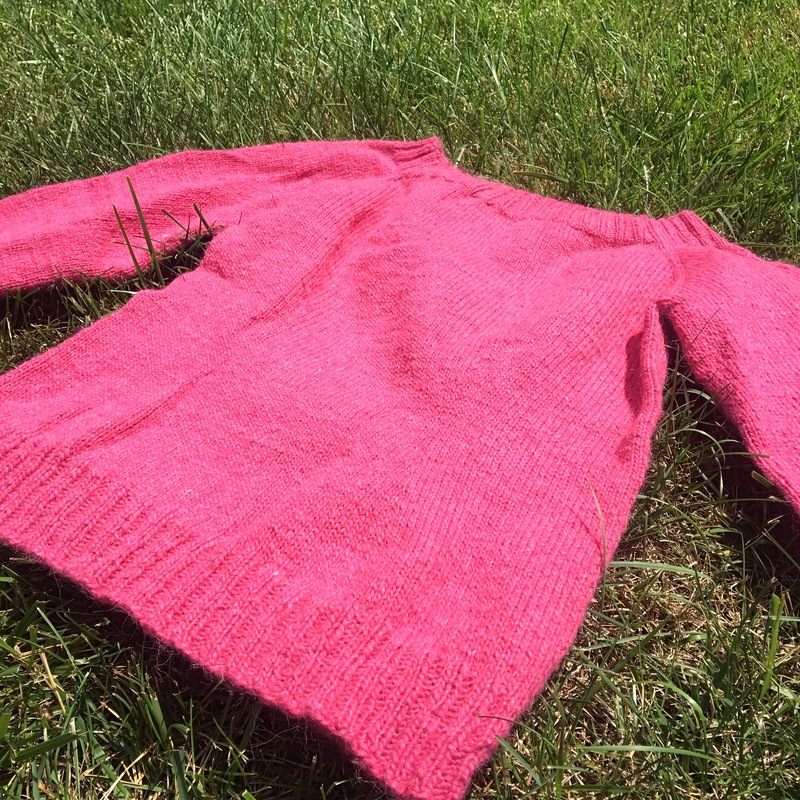 Anytime I worked on this sweater I would end up having a layer of hot pink fuzz covering me. This yarn was was also not very tightly wound. I have a pretty tight knitting tension so at one point I broke the yarn 4 times in one row 😫. To make matters worse I tried it on and it was SO itchy. Ugh! This “not so good yarn” made finishing this project a pain. Despite my dislike for the yarn, the sweater came out quite lovely. I made sure to give it a long soak and it doesn’t seem as itchy. Buster (my “fur brother”) seemed to approve. I am a little bummed that my yarn choice was a let down, however, The Forever April Sweater is a great pattern. It makes a lovely sweater for the spring or chilly summer nights. I highly recommend you head to Life is Cozy and download this free pattern. Shame sweater?!? Yes it is a shame that I messed this sweater up so much. Back in November 2014, I decided to make Miette by Andi Satterlund. This design was perfect. It is a top down design with no seaming and had lacy elements 😍. I love and admire Andi’s designs. They are super cute with just the right amount of retro-flair. I purchased my yarn (Cascade 220 in Persimmon), downloaded the pattern, and got to work. So I thought I was doing all the right things. I made a swatch, checked the gague, then blocked it, and checked again. I made sure to check my body measurements and compare them to the sizing measurements. All good right??? As the sweater kept growing my brow kept furrowing. The sweater was working up way too small. What was going on? Well friends I did not look at the line above the gauge. This sweater’s sizing clearly stated there was an expected 2″ of NEGATIVE ease. I thought I was making a sweater with a 34″ bust, but in reality it was going to measure up as a 32″ bust. Ugh! At this point I had knit almost the whole sweater and I couldn’t bear to rip it out. It was a Make It Work moment. I decided to add some extra paneling to the front of the sweater by picking up some stitches and creating a simple ribbing. Yet, by the end of it all I was not feeling my design mods. All my mind could think about was the original. So in the bin it went. It was incredibly depressing. How could I make such a huge mistake? Good thing I have a cousin who is thinner than me. She is about to get an awesome Christmas present. Whenever I start a new project I have the greatest of intentions. I picture in my mind that my piece will come out looking amazing and just like the picture. Doesn’t this always happen for you? Yet there are those times when things go wrong. In this case many things went wrong. I ran out of yarn! UGH UGH UGH. I tried to make some adjustments to the pattern to compensate for the lack of yardage, however, it just got worse. The sleeve openings were too tight, the length was too short, and the neckline was bonkers. The last issue was the yarn choice. As it worked up the draping of the yarn was well…yuck. The body of the sweater looked way too stiff and boxy. I am feeling a little defeated right now. All that work for nothing. I don’t know if it is me or the patterns but it seems like no project will make this yarn happy. Frustrated with this fail, I am going to take a little break from knitting. There is a lack of creative energy flowing through my fingers right now. This Whit just doesn’t want to Knit. 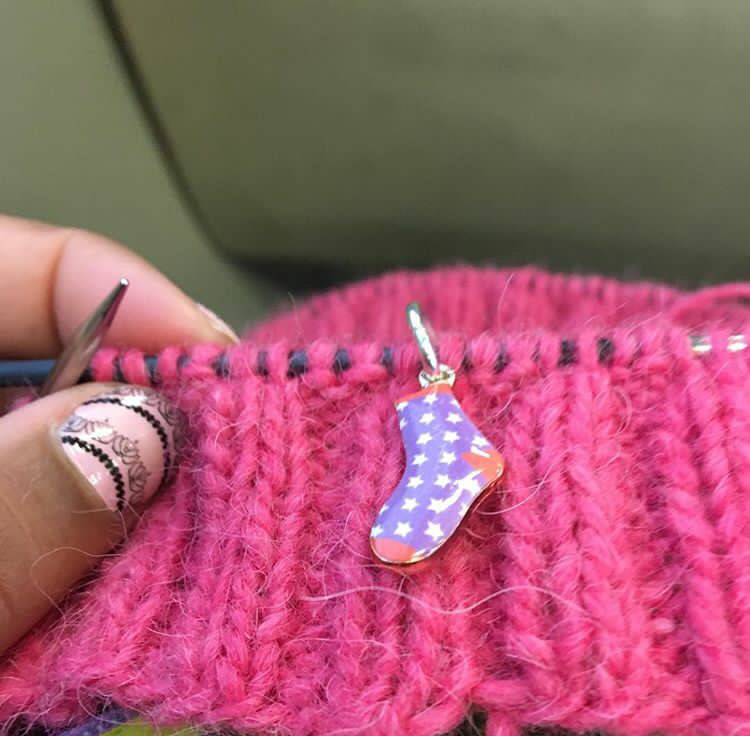 My fiancé recently commented that he always sees me knitting, but I never really wear my finished objects. I was shocked think that this was true. Yes it is hard to wear my sweaters when it is 60+ degrees most days, but I haven’t even really been wearing my headbands or cowls lately. So I decided to prove a point. This week I will be rocking a hand-knit everyday. Here is my Monday look featuring my Karl Sweater. This chunky grey cardigan was named after the fog that is always rolling through the bay. I have to say I really hate this picture. However, I was in a rush to take it before my dinner burned in the oven 😳. Check in tomorrow for more Knits By Whit! Do you ever fear of being without a project? Hello all! Sorry for it being quiet around here. I have not been feeling in the blogging mood. Despite my lack of writing, I have been knitting quite a bit. Currently, I am working on two sweaters. My Plain and Simple Pullover is going well. I finished the first sleeve and started on the second one. I casted on 90 stitches and knitted until a 1/2″ above the elbow. Then I decreased 2 stitches every 10 rows 4 times. After that I knitted a 3×3 rib for 3 1/2″ to finish off the cuff. A few days ago I started the top down sweater On the Beach. This sweater seems super speedy compared to my sweater above. I am using Cascade 220 Sport and size US 8 needles. My fiancé was a little upset with my color choice as it happens to be the colors of the Seattle Seahawks- rivals of the SF 49ers. Whoops!😳 I didn’t even realize it. Don’t worry I will still wear it…just not during football season.